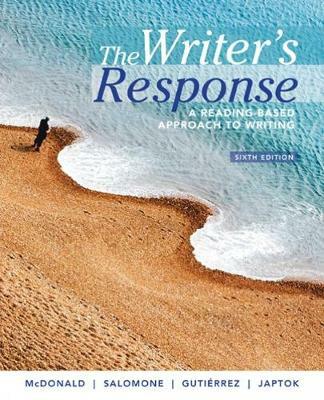 THE WRITER'S RESPONSE teaches you not only the basics of paragraph and essay writing'unity, coherence, and support'but also the basics of academic writing, making it a complete source to help you prepare for higher-level work. Through a variety of exercises and extensive readings, the text teaches you how to read carefully and summarize accurately, to recognize and respond to specific points in the material you have read, to synthesize ideas from several reading selections, and to evaluate and argue about the ideas you have found in your reading material. Although the authors' focus is on writing about reading, they also encourage you to use personal experiences to develop and support ideas. This combination results in a text that not only imparts the fundamentals of college-level writing, but also helps you find your voice.